Chesterfield Foodbank was the recipient of some hands-on Rotary when a team of Rotarians, led by Past President Keith Higginbottom installed heavy duty racking for the Foodbank’s warehouse. 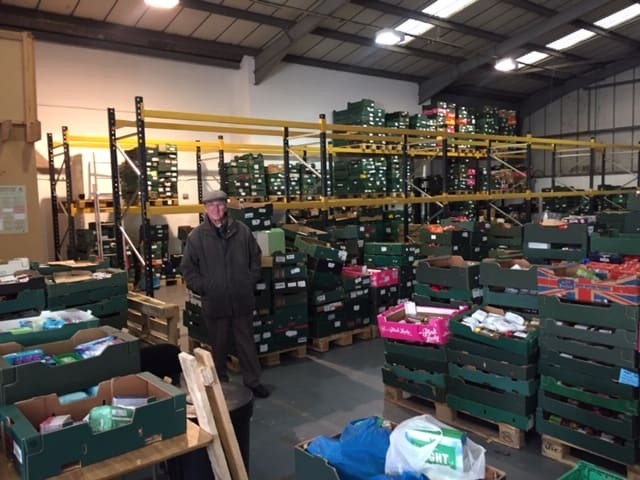 The racking was required because the Foodbank has been so successful in gathering contributions that there was not enough room to store it all safely and hygienically. It also enables staff to properly rotate food to enable maximum freshness when it is distributed. Jim Hopkins from the Foodbank visited the Club early in February to give us an update. To read about his visit click HERE.